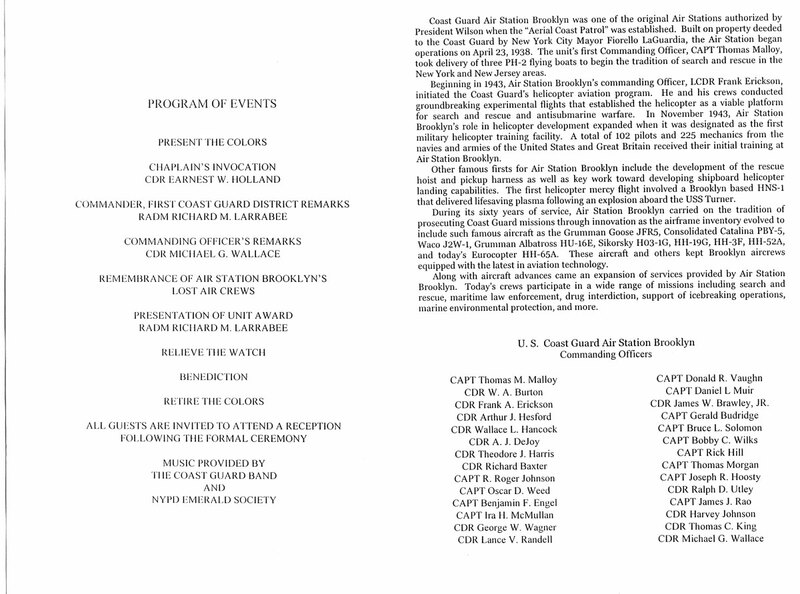 I was on a duty flight and at the controls of CGNR 6514 on the night of May 17, 1998, and completed the last operational landing of a Brooklyn-based aircraft at Floyd Bennett Field (KNOP). All Brooklyn aircraft departed the next morning, and upon breaking the pavement chopped to CGAS Atlantic City. 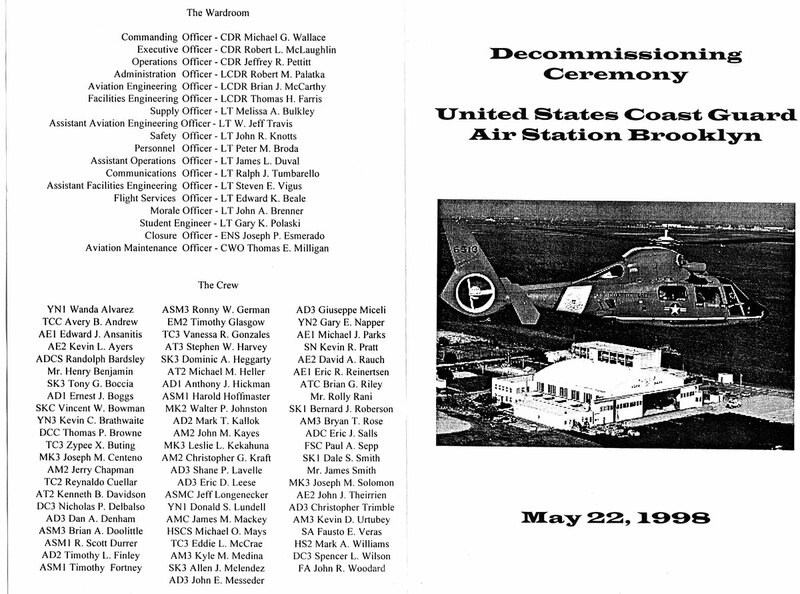 Here is the program from the Decommissioning Ceremony held May 22, 1998.